The Valero fire table has soft radius aluminum side panels and an aluminum welded frame. WADENA, MN – With its the launch of the Lunar and Valero line of fire tables, U.S. Manufacturer Homecrest Outdoor Living LLC gets the spring selling season off in style. The growing popularity of fire tables across North America has created unique opportunities for retailers to sell early and extend the season using these products. Homecrest continues to support those retailers with new product, finishes, and quick factory response. Both of Minnesota-based company’s new fire tables are available in chat height and are available for immediate shipment. 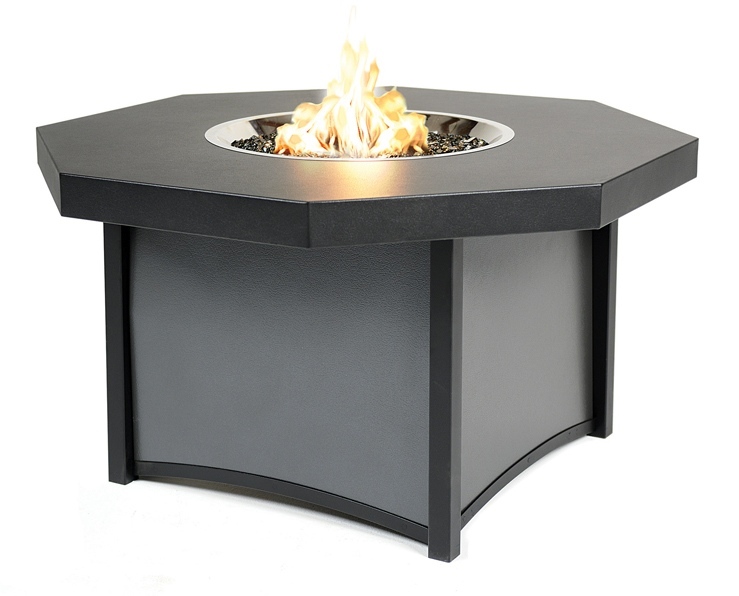 Homecrest’s Valero fire table features soft radius aluminum side panels, an aluminum welded frame, cast finials, a match throw fire bowl, and a new Tuscan faux top exclusive to Valero. The table is designed for dealer customization, with the ability to offer a solid color or contrasting side panels, two new table top colors, stainless or black fire bowls, and multiple fire mediums. The Homecrest Design Center at http://www.homecrest.com is provided to assist dealers with design options, and the sales collateral will provide proven finish recommendations. 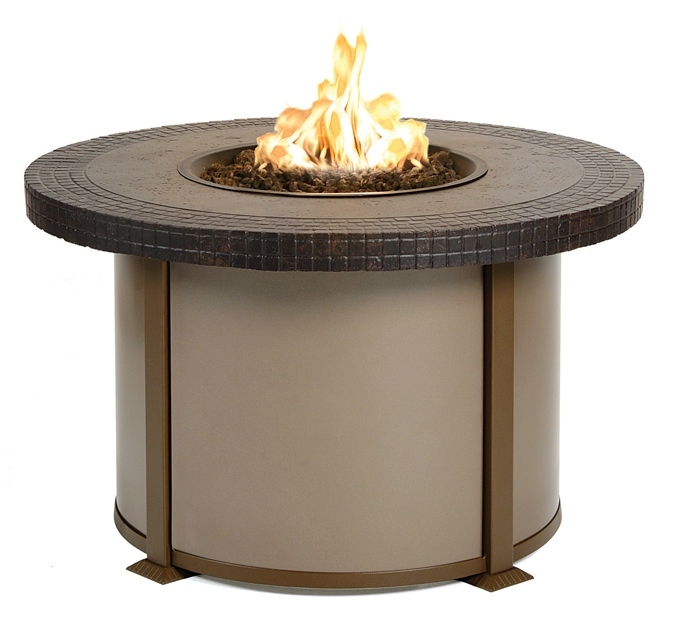 The Lunar octagon fire table (pictured below) was created in response to the market’s request for great value and all aluminum construction. Homecrest’s Lunar Fire Table features an embossed aluminum leather top, an aluminum welded frame, embossed aluminum side panels, and a match throw fire bowl. Like the Valero, the table is designed for dealer customization, and offers the same great options in this value priced product. These two new fire tables, along with Homecrest’s existing Classic line of fire tables, deliver 60,000 BTUs and promote efficient burning. Homecrest Fire Tables come standard with clear pebble fire glass, with optional amber pebble glass, black reflective glass, and lava rock available. Homecrest’s line of Fire Tables coordinate with all seating collections. In addition to the new fire table introductions, Homecrest also added a new all aluminum hexagon table to the popular Dockside collection. This is an exciting introduction, seats 6 comfortably, and is priced competitively. The new Dockside hexagon table measures 62” across, with each side of the hexagon measuring a generous 36”, and is available in both dining and balcony heights. Dockside is available in all Homecrest frame finishes.